ICYMI, the review blog (80 Books Blog) I share with Heather of Carbatastic, Nerdtastic, Fantastic was nominated for a Liebster Award. I’m proud that Tqwana Explains It All was also nominated. Woo! So, thank you Natascha and Heather. But, since Natascha nominated me first, I’ll answer her 11 questions. Enjoy your peek inside my head. 1. What was the first and last book you read? I have no idea what the first book I read was. I’ll stick with my 80 Books answer, which is probably one of the Berenstain Bears books. 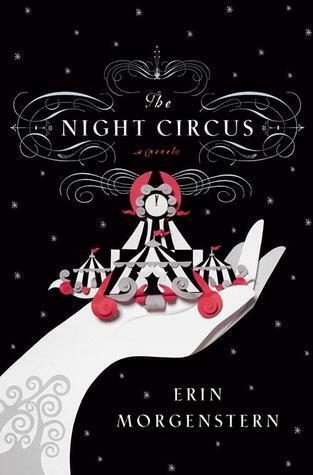 I’m currently reading The Night Circus, which is strange and eerie, but is drawing me in with this slow build-up to what I hope is a huge clash of magic and love. 2. Why do you read the books you read? Because they’re fun and cute and sometimes sappy, and I like the escapism and happy endings. It’s nice to know that some people get those happy endings, and the bad guys don’t always win, even if it’s only a fantasy. These books put a smile on my face when the world gets me down. 3. Perfect day: what book do you read? Why? 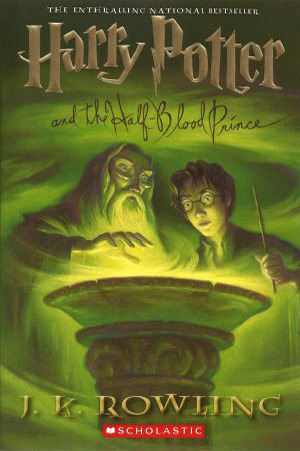 Half-Blood Prince. Because it was the one brief moment when Harry got to be a regular teenager before all hell broke loose and he had to give up everything. It may not be the best in the series – that honor probably belongs to Prisoner of Azkaban – but it’s still my favorite. 4. Do you have a favorite book cover/author/title? Why? Why? 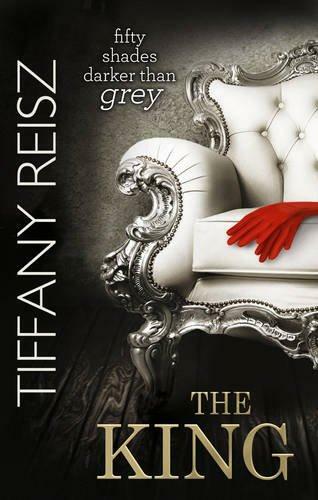 Because Tiffany is one of my favorite authors. That pop of red against all those blacks, whites, and grays just says Original Sinners to me. 5. If you could predict the next big book trend just by what you wanted to see, what would it be? I want to see more heroines like Olivia Pope, Abbie Mills, Jane Villanueva, Annalise Keating… I want a Jill Shalvis-style romance (cute and flirty and quirky) with a woman that looks like Gabrielle Union or Tika Sumpter, Queen Latifah. Lupita Nyong’o! You feel me, right? The struggle narrative has its place, but sometimes we do like to just have fun. And I won’t even comment on the ‘hood lit out there. These extreme ends of the spectrum have got to stop. 6. You can only take 5 books with you to a new planet. Which books are you going to take and why? Deathly Hallows, The Color Purple, The Saint, The Bible, and the unwritten story of my life. which I will of course have written down by that time. All of these are either favorites or have some significance to my existence. 7. You have the opportunity to get a signed first edition, in pristine condition, from any author ever and it will always look brand new no matter how many times you read it. Who’s the author and which of their books is it? I can’t answer this. I won’t even try. Just one? No way can I choose. Being my own boss, running my own company. Or my fave fantasy of traveling, reading, and drinking wine on someone else’s tab. 9. You can cast any book for a movie. Which book is it and who are your choices? Ooohhh! I like this one…. I’m going to go with the entire Fever series by Karen Marie Moning, simply because of David Gandy, who is Jericho Z. Barrons in my mind. I don’t really care about anyone else. Just Gandy. 10. Where is the best place for you to read? Doesn’t matter, but I usually end up in my bed. I’ve been known to read at my desk too, when no one’s looking…Shhh. Words build up in my head and they need an outlet. I blog b/c sometimes I need to rant and vent, or I just want to share stuff with total strangers like recipes and great books. 1. What inspired you to start blogging and what’s your goal? 2. Who are your real-life heroes and s/heroes? Why? 3. Any guilty pleasures? No shaming here. 4. All-time favorite book/movie/TV show? 5. What’s your favorite thing you’ve ever written for your blog or any platform? Why? 6. You’re having a big dinner party, what’s your go-to dish? 7. If there’s one book you had to burn every copy in existence in order to save all the other books in the world, what would it be? No cheating with ebooks and audio books. Those go too. 8. When you’re away from your computer, what do you do in real-life? As an occupation, I mean. 9. Who would play you in the Lifetime movie about your life? 10. You are the Earth ambassador to an alien planet. What 5 items do you take to the aliens to show what life is like on our planet? 11. What would the title of your memoir be? 1st Rule – Thank the blogger who nominated you and post a link to their blog on your blog. 2nd Rule – Display the award on your blog — by including it in your post and/or displaying it using a “widget” or a “gadget”. 3rd Rule – Answer the 11 questions, given to you by your nominator. 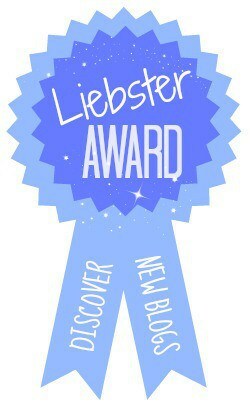 4th Rule – Nominate 11 blogs that you feel deserve the award, who have less than 200 followers. 5th Rule – Must inform the bloggers that you nominated their blog for the Liebster Award and provide a link for them to your post so that they can learn about it. 6th Rule – Create your own 11 questions for your Nominees to answer. Thanks for the nomination Tq…I am really new at this, I won’t let you down!! Welcome to blogging! You’re doing great already. Just trying to spread the love and get us all more followers.